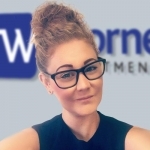 Laura is our Recruitment Resourcer and comes with over 2 years’ proven experience in dealing with contract and permanent candidates. Laura has a strong background knowledge of the local area. She’s also our social media guru.